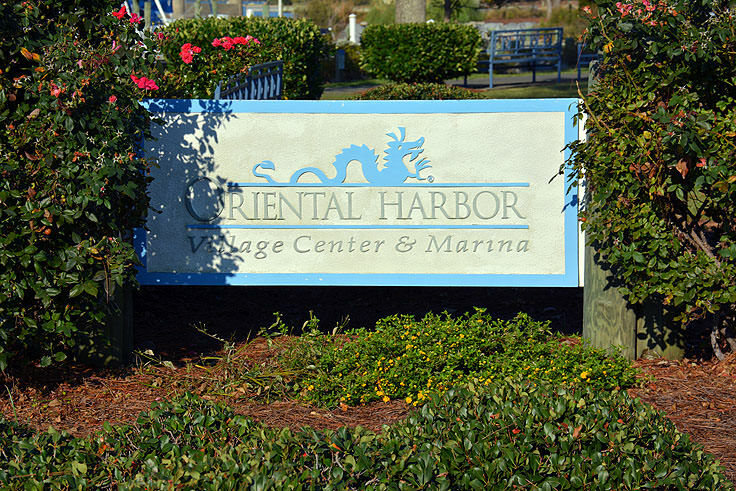 With an exceptional locale that's just blocks away from the heart of downtown Oriental's waterfront, folks who spend a weekend, a week, or even a few months at the Oriental Harbor Marina will find uncompromised access to a host of amenities and attractions, both on the water and on land. 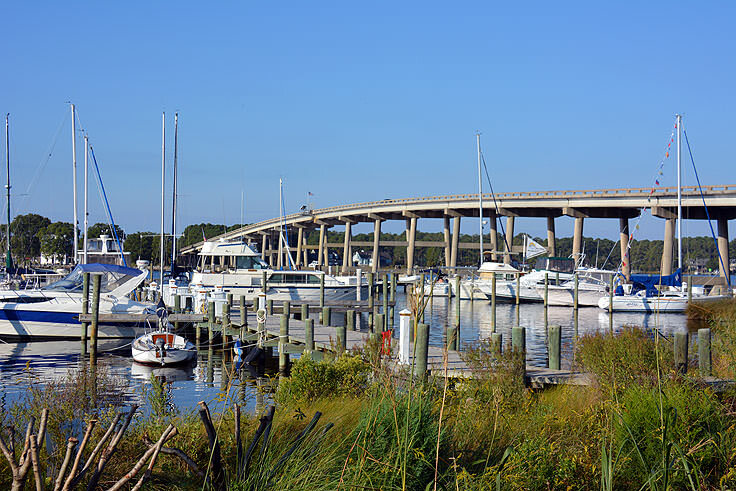 The Oriental Harbor Marina's location is simply prime, and the marina can be found along the edges of the Intracoastal Waterway. From here, it's an easy run along the ICW for additional exploring, or out to the Pamlico Sound for a long but leisurely trek out to North Carolina's Cape Lookout and southern Outer Banks shorelines. With multiple major bodies of water available within minutes, and exceptional access to some of Coastal Carolina's most noteworthy destinations, the sheer location of the Oriental Harbor Marina is enough reason to drop anchor at this convenient, waterfront destination. That being said, newcomers to the Oriental Harbor Marina will find that the site has a host of its own amenities to lure passing mariners as well. The marina features a total of 110 deep-water boat slips, which serve both private owners and transient visitors. In addition, the marina functions as a home base for a boating school, a sailing school, a launching point for off-coast fishing charters, and a service center for vessels that need a little maintenance, or even lengthy repairs. Visitors who fall in love with the Oriental area will find a number of boat slips available for permanent sale, or available for a monthly-based lease. Monthly rentals vary by the size of the slip, but generally range from $275 for a 30' foot slip, $325 for a 40' foot slip, $375 for a 50' foot slip, and $450 for a catamaran slip. (Vessels should note that electricity is available for an additional charge.) 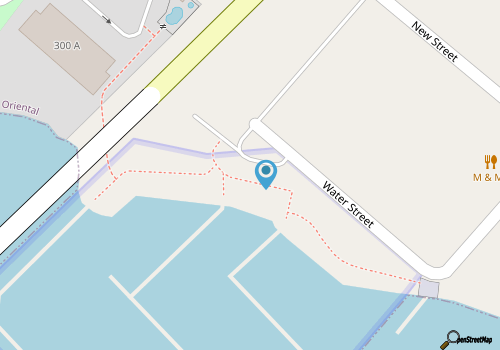 30' to 50' feet boat slips are also available for sale, and interested full-time patrons can find a long list of current slips available online at http://www.orientalharbor.com/mlslistings.htm. The facilities just outside the boat slips are extensive, and can cater to just about any mariner passing through. Amenities include fuel located nearby, on-site showers and laundry facilities, and high speed internet access available throughout the Oriental Harbor Marina. Power, phone service, and water is available for every boat slip, and a professional dock master is readily available as well to answer any questions or arrange for repair services for a vessel in need. The Oriental Harbor Marina is also located just a quick stroll away from the Village Center, which features a General Store, in addition to yacht and real estate sales. Perhaps the biggest draw for mariners who like to rest and relax in style are the neighboring Oriental Harbor Place luxury condominiums. 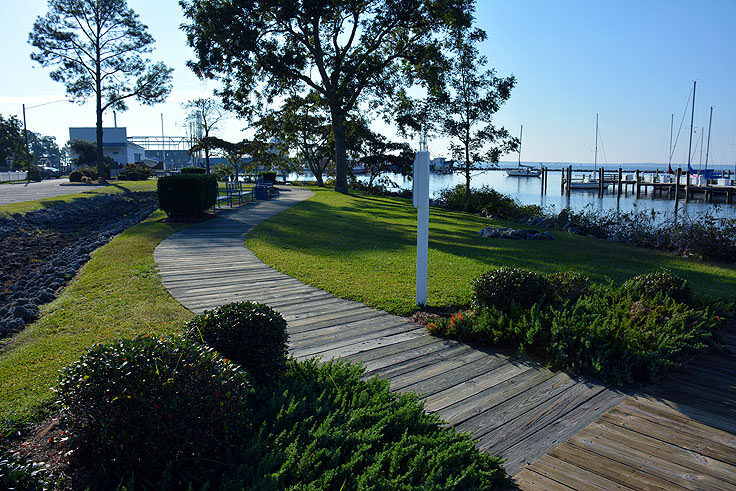 The two or three bedroom residences feature extensive views of the Neuse River, (which are especially exceptional during sunset), and are open to marina patrons for nightly, weekly, or even long-term and indefinite stays. The units feature 9' foot tall ceilings and hardwood floors, elevators to the 2nd and third levels, gourmet kitchens, decks and porches with uncompromising water views, high speed internet access, and access to the community facilities including the expansive marina pool. In addition, guests can call on the Oriental Harbor Marina's concierge service to arrange for a little something extra during a visit to the North Carolina Inner Banks, including limousine services to the local airport or local major towns and attractions, or simply an appointment at the neighboring spa. Rates at the Oriental Harbor Place vary, but generally range from around $275 per night, $1,500 per week, and $2,000 per month. A small waterfront cottage, known simply as the Creek House, is available for potential guests as well, and features four bedrooms in addition to a large deck and screened porch overlooking the open Neuse River waters. 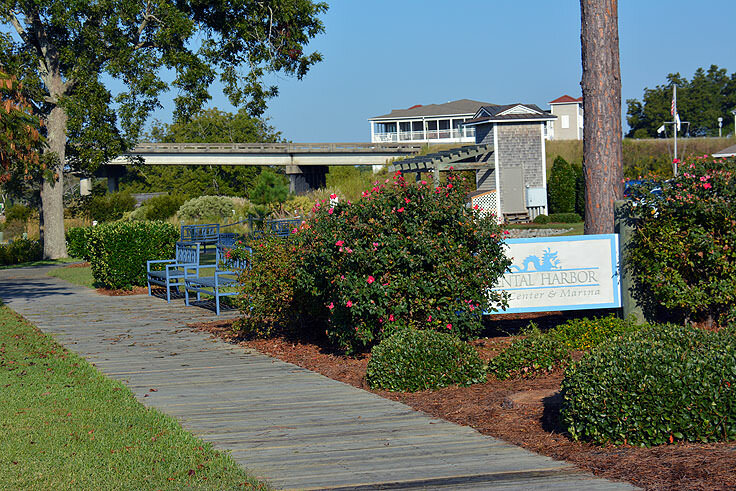 Accommodations at any of these facilities, including the marina and a subsequent condo or cottage rental, can be arranged in advance by calling the General Store at Oriental Harbor at 252-671-9692, or emailing reservations@orientalharbor.com. Oriental Harbor Marina is a stunning marina with plenty of facilities to keep mariners happily occupied and well taken care of both on and off the water. With accommodating boat slips that are just minutes away from the open Intracoastal Waterway and Pamlico Sound waters, and on-site condo rentals available for folks who want to rest a while and explore the fascinating region in detail, Oriental Harbor Marina is clearly a full-service stop for any ICW passer-bys who want to discover what the lure of Oriental and the surrounding Pamlico, Cape Lookout, and Outer Banks regions are all about.